The Australian ball-tampering controversy has caught cricketers Steve Smith, Cameron Bancroft, and David Warner on the wrong foot, and taken cricket fans by surprise, with Smith stepping down as Australia’s captain for the rest of the ongoing third Test match against South Africa. 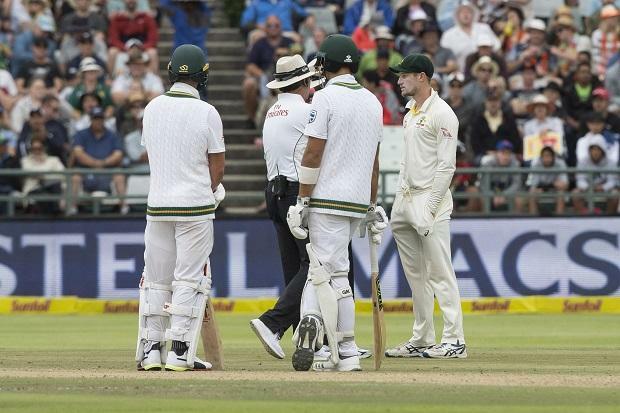 Smith was penalised by the International Cricket Council (ICC), which slapped the Australian with a one-match suspension and fined his entire match fee on Sunday. Steve Smith’s deputy, David Warner, also stepped down as Australian cricket team’s vice-captain, while wicketkeeper Tim Paine was named to act as a stand-in captain at Newlands, with both Smith and Warner taking the field on Sunday. Meanwhile, days before IPL 2018 commences from April 7, the Board of Control for Cricket in India (BCCI) and Indian Premier League (IPL) are playing the waiting game on Smith and Warner’s fate. Steve Smith might also lose the captaincy of the Rajasthan Royals IPL franchise. In that case, Ajinkya Rahane would likely lead the IPL side. For now, the BCCI and Royals have reportedly heaved a sigh of relief after Smith escaped with a mild punishment. Smith o Saturday admitted to masterminding a premeditated plan to indulge in ball-tampering, which, among others, prompted even Australia’s prime minister to react and a long-retired captain to mull a comeback. Australia’s Prime Minister Malcolm Turnbull called the incident a “shocking disappointment”, while Michael Clarke kept open the possibility of returning as the Australia cricket team’s captain. 1) Steve Smith steps down: Caught up in the ball-tampering controversy, Steven Smith stepped down as the Australian cricket team’s captain for the remainder of the ongoing third Test against South Africa. The actions of the Australian team’s leadership in the ball-tampering controversy would be investigated, said Cricket Australia. Subsequently, the Australian government asked the board to remove Smith as captain. Australian Prime Minister Turnbull called the incident a “shocking disappointment”. 2) Rahane may lead Royals: Ajinkya Rahane is likely to lead the IPL franchise Rajasthan Royals in case Steve Smith, under fire after admitting to ball tampering during the ongoing third Test against South Africa in Cape Town, loses his captaincy. India’s Test vice-captain Rahane is also saleable as a brand — a must for all IPL franchises. Rahane was one of the Royals’ premier performers before they were banned for two years in the wake of the 2013 spot-fixing scandal.